* The routine use of intraoperative cholangiogram (IOC) performed by some surgeons at the time of laparoscopic cholecystectomy, also leads to identification of patients with totally unsuspected choledocholithiasis. 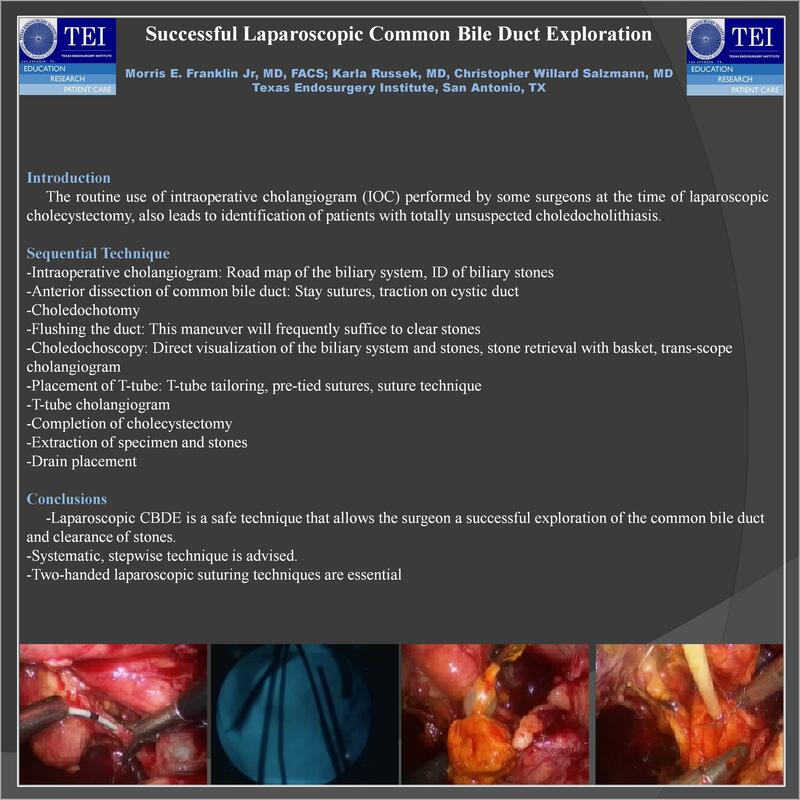 -Laparoscopic CBDE is a safe technique that allows the surgeon a successful exploration of the common bile duct and clearance of stones. -Systematic, stepwise technique is advised.